Even though I grew up in Westwood, there are not many times I have been commissioned to come back and shoot family. I love shooting in my home town. It's a great place to find nice spots in the woods to pose. 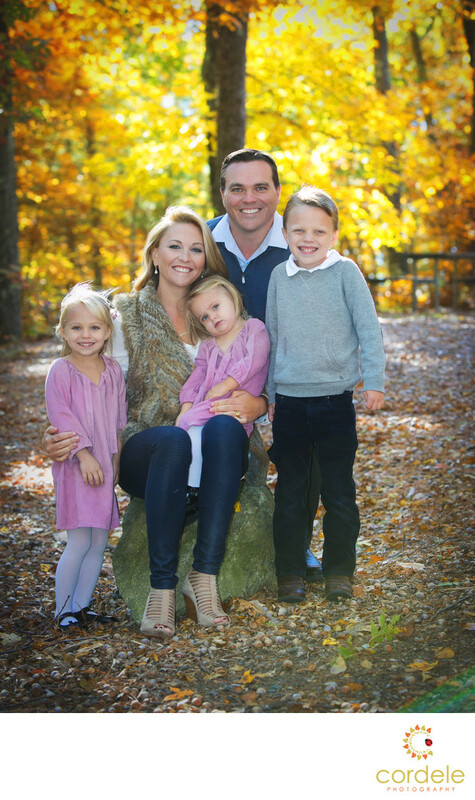 This family came up from Texas to visit their family, and was eager to capture their kids in the fall leaves. They don't get much foliage down there! We set out and let me tell you we hit the peak of fall color! The yellows and oranges were really amazing and it's the color that clients set out to capture when they contact a photographer for fall portraits. We set out to Hale Reservation. Even though I had grown up in Westwood, I had never actually been there. I spend most of my time up in Reading Massachusetts. There is a ton to work with at Hale and I am happy to return there again! There are lots of fall portrait locations out in the area of Norwood and Westwood, along with Dedham for photos. Location: 80 Carby St, Westwood, MA 02090.